I spend a lot of time sharing things I learn about the writing process. But after some lengthy discussions with fellow blogger Ali, on what inspires us she instructed encouraged me to begin sharing some of the more ‘strange and unusual’ things I find inspiring. As a Fantasy and Sci-Fi writer whilst my own imagination is useful, it sometimes needs a little help. Which is why I spend a lot of time researching the strange, unusual or controversial – I find it provokes lots more story ideas than the mundane. It’s at this point I want to add a little disclaimer: any information put into these weekly wonder posts do not represent my opinion. They are merely a collation of facts, proposed theories and interesting concepts I have collated here because I found them interesting enough to be inspired by them. The properties of sound are usually thought of as musical, and entertaining. But sound propulsion and the ability to move objects using sound waves is fast becoming a tangible concept. 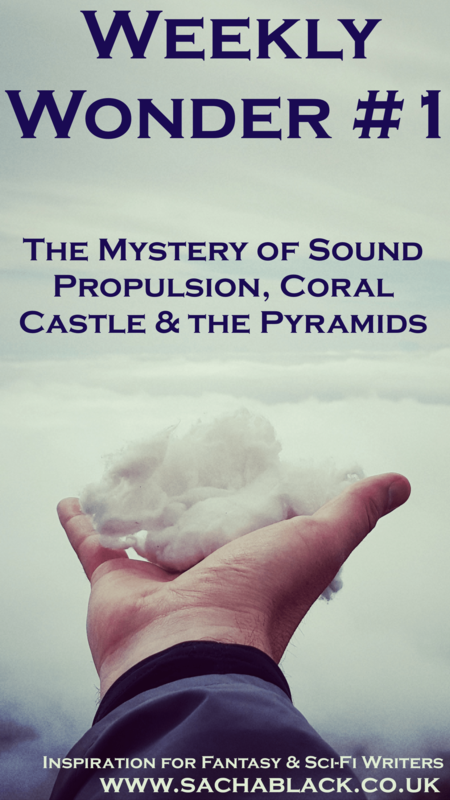 It is said that the mystery of Coral Castle can be explained through sound. Coral Castle a 1100 ton stone structure, built single handedly by Edward Leedskalnin, a 5ft, 100 pound Latvian gentleman between 1923 and 1951 in Florida USA. So how DID he do it? There were rumours Leedskalnin used strange cone shaped objects which emanated sound to levitate the enormous stone objects. Cone like objects similar to the one on the left. This particular one however, is rather more ancient. It’s thousands of years old and covered in cuneiform scripture. An extremely ancient language developed by the Sumerians 3000-3500 BC. I visited my favourite museum recently the British Museum in London. I was aware of a theory of sound propulsion to build the Egyptian pyramids, but I hadn’t seen any evidence suggesting it. It wasn’t until I was in the museum that I found some evidence of these cones from in and around that era. The cone highlighted in the red circle, wasn’t just on one or two of the carved statues, but on dozens of them across various different sculptures, and interestingly from different cultures, Egyptian, Sumerian, Babylonian…The other interesting thing in the photo, is the bracelets the creature is wearing. Two identical bracelets with a circular plate. Kind of like a watch… I wonder what they did, and why there are two of them. There is a debate that rages, about how 3-5000 years ago this sound technology was invented. Could it have been invented then? Some outright refute the claims, supporters of the ancient astronaut theory suggest an alien race gave the technology to humans. There are similar theories around many of the ancient stone structures like the Pyramids or the stone of the pregnant woman in Baalbek, Lebanon. Which is a 1650 tonne monolith block that was partly moved, and then abandoned. No one knows why it was abandoned but it was meant to be used in a Roman temple close by. There are alternative, and possibly more plausible theories that suggest, this, and various other buildings like the Pyramids were built using ropes and pulleys and round wooden-bobbin like structures to roll the stones. I always thought that a little odd though, stone being heavier and denser than wood, surely it would immediately crush the bobbins? Which theory is true? And what does it all mean? I don’t know. Maybe we never will. But I certainly found it interesting and it made my mind race with ideas about technologies for future or past races other things sound could do and lots of other stories. What do you think? Did you find this interesting? 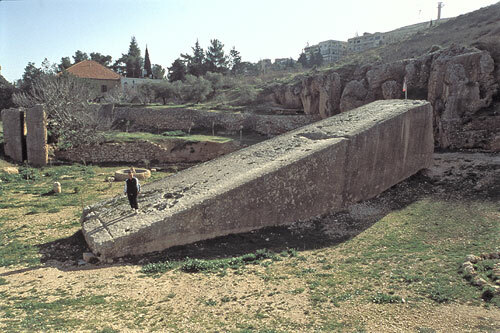 I’ve actually seen, walked around and been on the Stone of the Lady in Baalbek and can confirm that it is ENORMOUS! No way Chris? Have you actually? What did you make of it all? How do you think they moved the rocks? Stonehenge is another example of how did they get those stones there, and why are they there? How come I had no idea that you were interested in this kind of stuff? Next time we meet up we’ve a lot of catching up to do. Yes, exactly, stonehenge, Easter Island too! Well, I guess because I haven’t put any of it on here… I am going to though… just you wait and see! What kinds of things are you interested in in this area? Anything that is “unexplained” gets my attention. You’ll probably see how that rubs off in some of my short stories. Now that is interesting! There is so much for us to learn. I’m sure we are but scraping the surface. Thanks Norah, I have the same feeling we are just scraping the surface, I don’t know what of it is true, but I still find mysteries interesting. This was fascinating to read, Sacha! Thanks for pulling me out of reality for an albeit short moment!! Great post Sacha! This is going to be a fabulous series, and I can’t wait to see what else you come up with… You have certainly piqued my interest! I seem to remember reading somwhere in Tolkien’s stories that the Elves moved objects by singing… Sounds like your sound propulsion theory to me. I’ve always loved that idea, and it clearly struck a chord with me (please pardon the terrible pun!). You must have been so excited when you noticed all those characters in the Egyptian carvings carrying those cones! I always thought that the notion of lifting huge stones with ropes and pulleys and dragging them up earthern slipways was more impossible than singing them into place! Seriously, if it was a visble option, someone would have replicated the process by now to prove it, don’t you think? Thanks for a great read, you’ve certainly got me inspired! Oh that should read ‘viable option’ not visble… Damn phone! Thanks Ali, I hope it will be :), glad you found it interesting, I am surprised at how many people have said they found it interesting actually – very encouraging :D.
ooh no way? I did not know that about Tolken – maybe he had heard of it too then. I was well excited – pennies dropped. I mean that’s still not proof its true, but it certainly raised an eyebrow. Thanks Helen, oooh how did I not know that about you?! Not all the posts in this series will be on archeological things but lots of them are – got a list of 60 things to write about already! lol. I agree. I often find myself thinking that the ancients were actually cleverer than us – when and how did we lose all that knowledge – seems crazy, but I really believe it to be true. Wicked. That is incredibly interesting. Look forward to more of these Weekly Wonder posts.
? well that’s encouraging ??? glad you liked it – will make sure I make my way through my epic list of topics then. ? I still think you’re as nutty as a fruit cake… though if you crack this singing builder thingy, I could do with some stone slabs moved…. Pahaha, as I always say, takes one to know one Geoffle. Stone slabs… if you make cake, I will bring my best vocals. Fascinating post Sacha, and a wonderful concept to ponder. Definitely inspiring! I’m so glad Ali encouraged you to share your interests! Even though these are not topics I’d pursue on my own, your enthusiasm is catching. 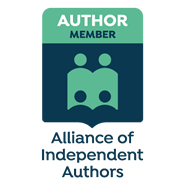 Writers do need to share what inspires them — to stay inspired and to continue the process of inspiring others. And I do have a rock garden that needs building once you crack the sound/cone code! Thanks Charli. Well I’m not sure what I actually ‘believe’ about it all, but I do find it rather fascinating. I have an enormous list of topics, conspiracies, academic theories, scientific papers I’ve read or got to read that I find interesting. I guess I find anything out of the ordinary, interesting… But also its like a candy store full of ideas you know… Especially for someone like me who writes fantasy/sci-fi and dystopian stories. I had no idea what the reaction would be to this post so I’m glad I haven’t scared anyone off! Haha – if I find the answer or manage to get my hands on a magic cone you will be the first to know ? Moving large stone pieces by sound is more plausible than rope pulleys. Definitely got my interest. Thanks Michelle, really appreciate that, as I wasn’t sure whether sharing these weird world oddities, would put people off. But I just love a good mystery! I find them so inspiring. I enjoyed reading this post very much. I suspect over time our thinking has narrowed, which is why concepts like these tend to be set aside in the mainstream. Some of my own writing hints at forces we can tap into outside those accepted in the modern world. It could be complete b*****ks, but too many things happen in this world that can’t be explained in conventional terms. I agree – there’s definitely been some dumbing down of society like FER SHIZZLE – I mean how did the Sumerians know so much anyway? I have a sneaking suspicion something has gone amiss there. I agree though – there ARE too many unexplained things – and that reeks of cover up to me. I’ve found you in return, and read your post as suggested. Fascinating theories, and I do love questioning mainstream beliefs of how things were done in the past. Man was not so stupid back then, I’m convinced of it. I think there are many mysteries from our past yet to be solved. And maybe…never. I think…albeit tentatively, that we already have the knowledge, or at least a lot of it. I suspect a large amount is being kept from us. But I don’t like to be too bold in saying things like that. Don’t you think its a little strange that the number of ‘leaks’ and references to UFOs and aliens has increased significantly in the last 10 years? I reckon they are priming us for an admission that we are not alone. In our life times we will finally be given that truth, I am certain of it. Time will tell… at least, we can hope. I was at Coral Castle just 2 weeks ago! It was brutally hot. He should have discovered roofs and air conditioning. That said, it is pretty cool to see that one person could get a 10-ton stone thirty feet in the air! Wow I’m so jealous you have been there. Was it as impressive as it looks? Did you believe the myth? I loved this post and in reply I am giving you a you tube link. Also when studying Lord Shiva, who is know as the destroyer and the creator of worlds, I came across the vedic texts of ancient India, where it is said that weapons and buildings could be activated by sound. Have a look at the ancient India theory. Keep an open mind but there are too many similarities for it not to have some truth in it. i do as well plus all the flood stories that all the cultures have. Its fascinating. Used to be a big fan of “Ancient Aliens” series, but there are still many questions left unanswered. Good post! Ooh yeah me too ? LOVE ancient aliens ? Very interesting. Thanks for sending me the link. The story about the Coral Castle has always intrigued me. I wish to hell he had showed someone what he was doing! I know right – so annoying! typical, so much of our history seems to be hidden sadly.